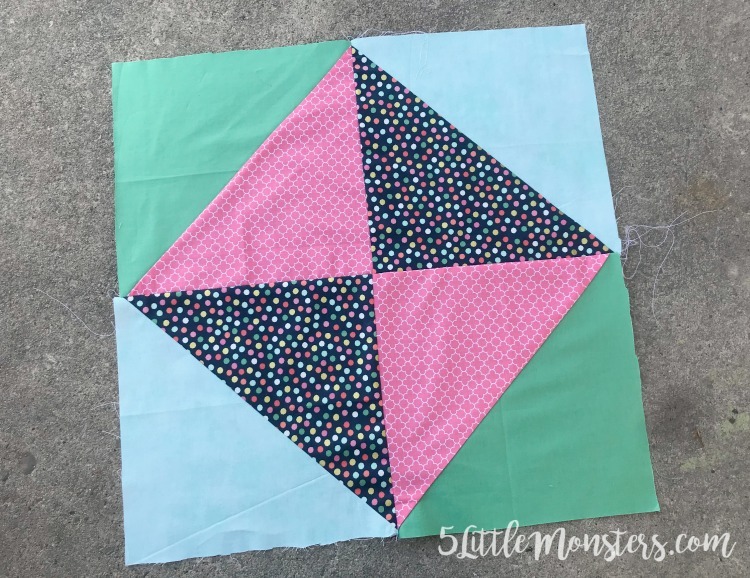 When I am coming up with a design for a quilt one of my go-to's is half-square triangles. 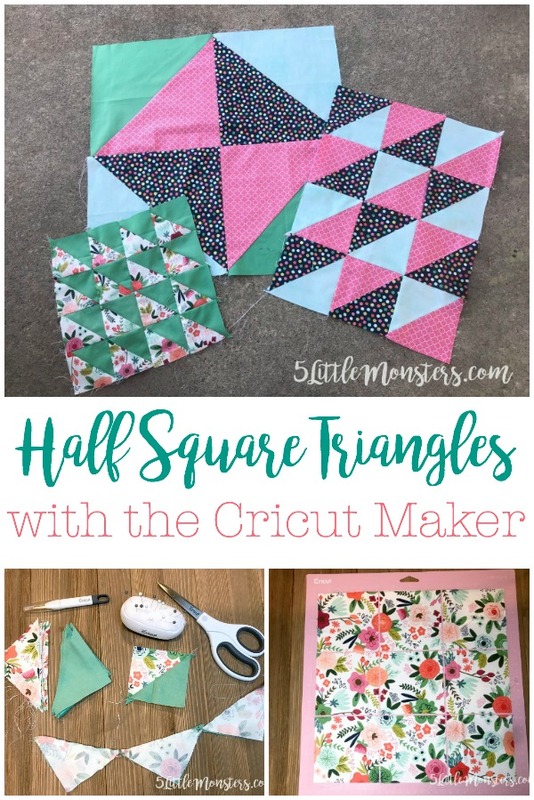 I love that there are so many designs that can be made with half square triangles. 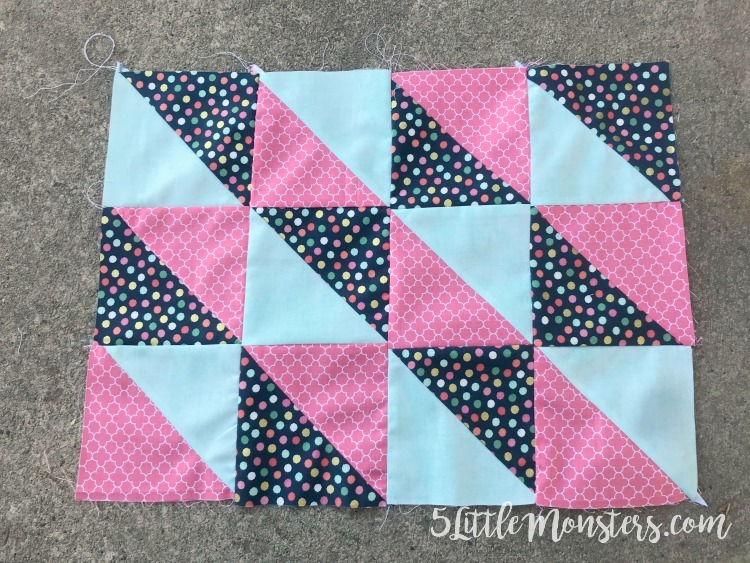 By just changing the placement you can totally change the look of the quilt. 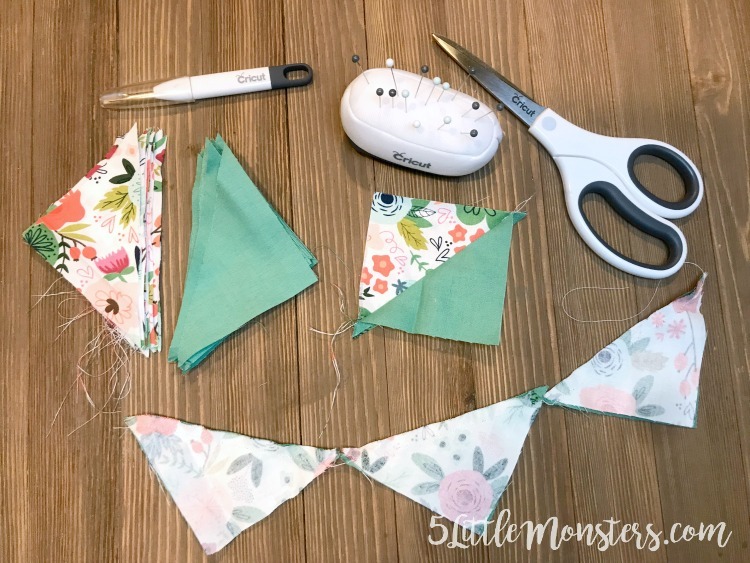 Usually I cut squares, draw a line in the center, sew 1/4" from each side, then cut down the middle along the line to get two half-square triangles. 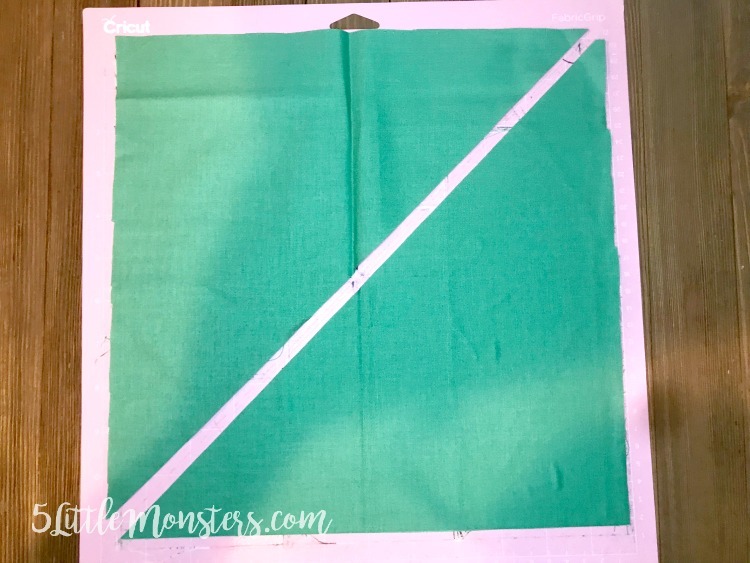 I decided to try using my Cricut Maker to cut out the triangle to see if I could make the process go a little quicker. 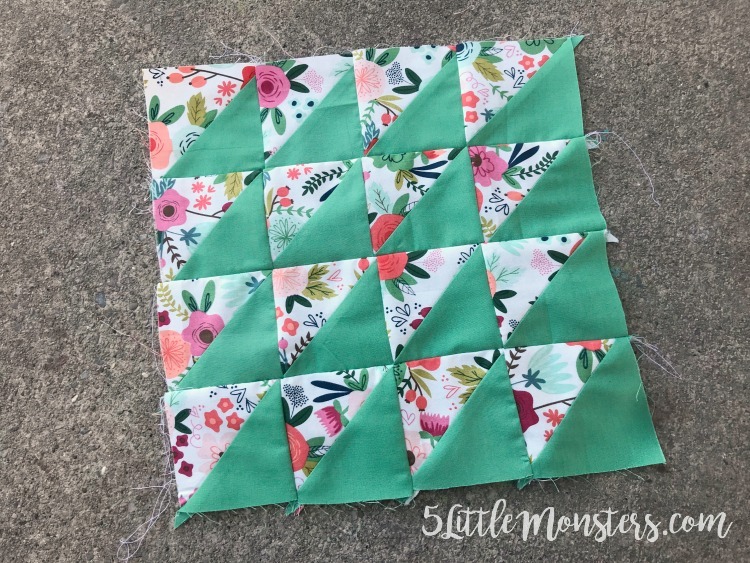 I decided that I would try to make the squares a size that would maximize the space on the mat as well as possible rather than trying to make it a specific finished size. 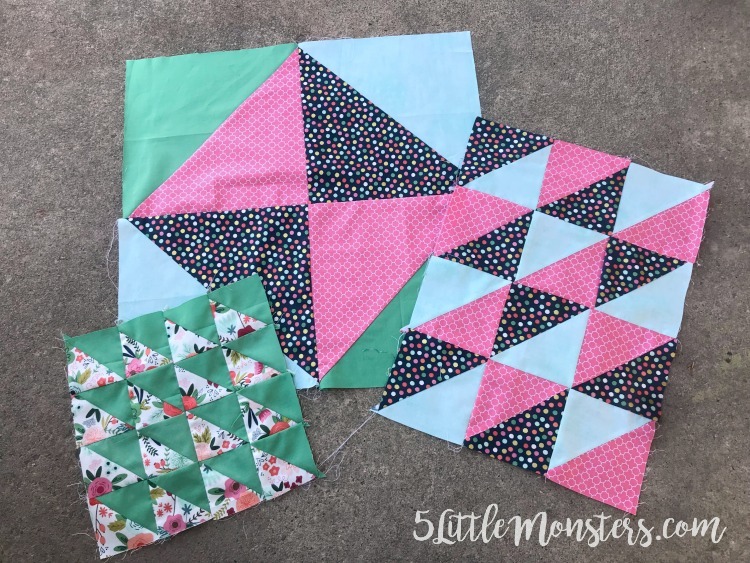 I made 3 different sizes. 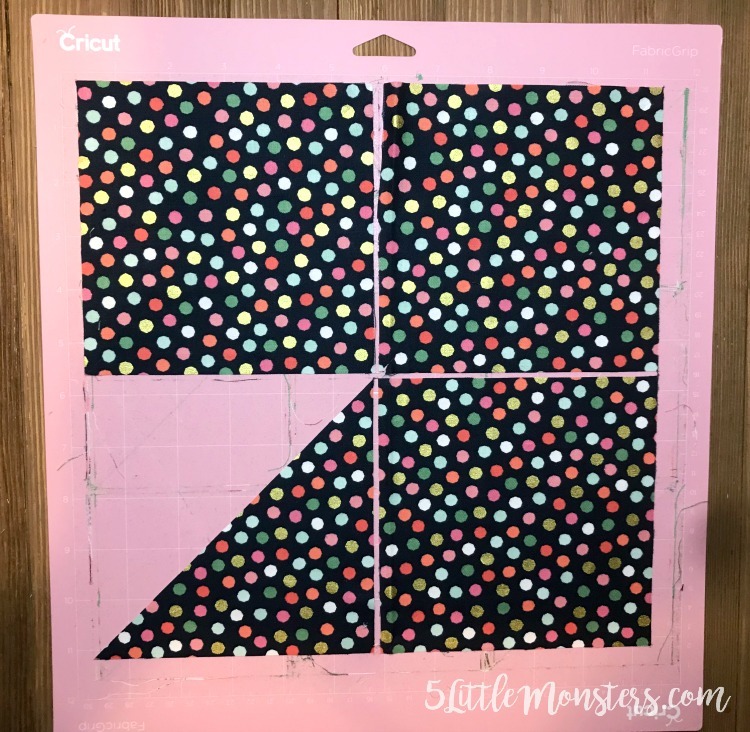 The smallest can fit 9 squares on one 12" x 12" mat, 3 across and 3 down. The finished size is just under 3", about 2 3/4". 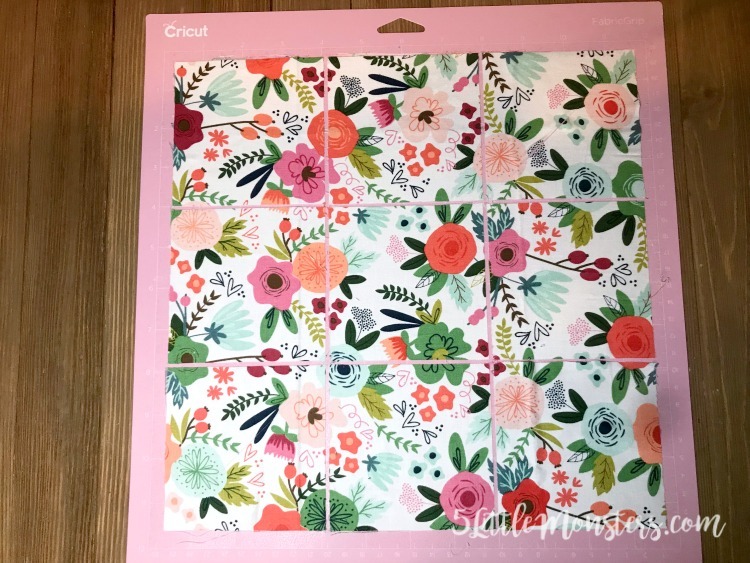 The medium size fits 4 squares on each 12" x 12" mat, 2 across and 2 down. The finished size is about 4 1/2". 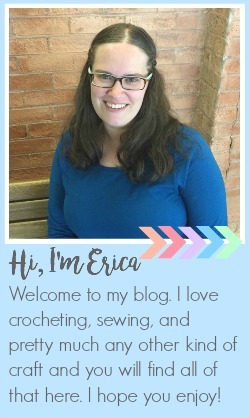 The largest size fits only 1 square on each 12" x 12" mat. Finished it measures about 10 1/2". All three sizes are available on Design Space here. 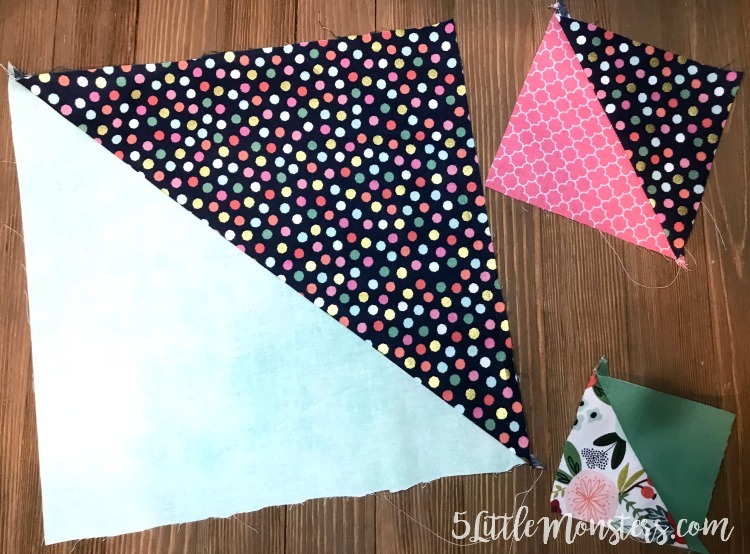 You can find the fabric I used for these samples here. 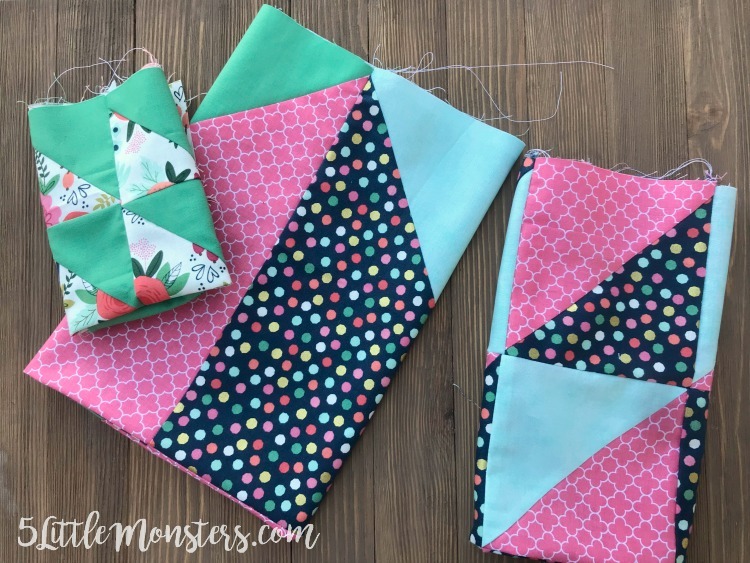 It is the same fabric I used for these quilted potholders.